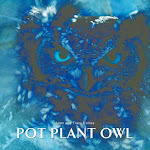 We've had a lot of people contact us about Pot Plant Owl's cough. We are aware of it. We monitor it. And we also have FreeMe Wildlife Rehabilitation Centre monitoring it too. PPO appears to be heathly. She is eating, moving around normally, and not showing any obvious signs of distress. The cough is a concern, but is it worth risking taking her away from the chicks to get looked at, and the stress that they would all feel? Let me share with you what is happening to me. I've been a long-distance runner for a decade now. In the past few weeks, I've developed a bad sounding cough - especially after exercise. I had it seen to and was told it is a bronchial irritation. The cause? An extremely high count of pollen in the air - highest recorded in 50 years. Our rains haven't started properly yet, which accounts for the prolonged pollen count in the air. The result of this high pollen (and possibly pollution) count, is that I cough like crazy and sound 'raspy' at times. Actually, I sound like I smoke a lot, when I dont smoke at all. Perhaps this is what PPO is going through. Perhaps she is coughing up pellets noisily. Perhaps their diet of a lot of birds this year is making her throat 'tickle' because of the feathers. We will monitor PPO so please don't worry. Thanks for all the info, Tracy. No, I don't worry about PPO, I do know she's well monitored by you. Take care and good luck for your caugh! If PPO were really sick, she would also limit the interactions she has with her owlets, lest they get sick, also. And we know how much PPO enjoys being with her babies, preening them, feeding them, and just in general being a loving mother to them. I trust Mother Nature and PPO's good judgment. She would never put the owlets in harm's way.